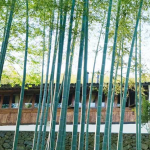 Started by Laurence Brahm in the 90s, the Red Capital brand is the first of its kind in China to create a boutique hotel and restaurant through the restoration of traditional Beijing courtyards. One reason these projects are so special is because through them they promote the concept of ‘natural evolution’, a concept Mr Brahm first planted in part of the Dongsi area of Beijing, which was placed under a Culture Protection Zone in the 1990s. The idea with ‘natural evolution’ is that an area of historical and cultural value is allowed to evolve naturally how the local people see fit, preserving some traditional aspects of daily life and culture and adapting (evolving) others, rather than suffering the type of large-scale redevelopment which has befallen so many other traditional courtyard (or hutong) areas, wiping out large amounts of traditional architecture and accompanying culture in one go. 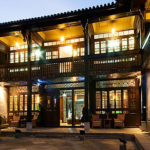 Using local tradesmen and skilled laborers the Red Capital Club and Residence have been restored to their original architectural style of Qing dynasty Beijing courtyards. A typical courtyard layout consist of three or four single story rectangular grey brick and timber buildings arranged in either a U shape or rectangle with the main entrance in the southeastern corner. Exposed walkways under overhanging eves surround a stone courtyard. The property is separated from the street by a brick wall and the main entrance features heavy, red-painted timber doors with bronze embellishment and knockers. 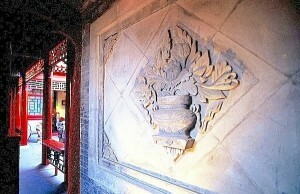 Once inside, visitors face the screen wall ( a brick wall with stone or marble carvings, decorated with scenes of nature or the family name), part of good feng-shui design that acts both as a barrier for privacy and as an element to deter wandering evil spirits from entering. 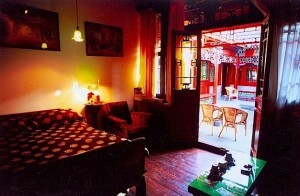 The interior decorations and atmosphere are an eclectic mix from the end of the Qing dynasty through to 1920s and 30s China up to the “glorious” era of Mao. 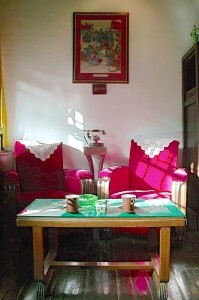 All the furniture – whether traditional Qing style beds, chic 1930s dressers or comfy 1950s central government office sofas and chairs – is all original. They buildings even still have their original Cold War era bomb shelters, accessible through a hatch in the ground. 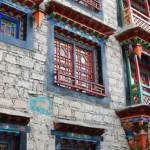 Externally, the walkways are decorated in the typical Beijing style of the Qing upper classes, lots of red and gold on the timbers, as well as detailed carvings and blue and green paintings decorating the beams. The grey tiled roofs with a slight upward curvature at the eaves are typical of the more elaborate style of architecture found in Beijing. These courtyards perfectly embody the type of considered, small-scale building restoration Beijing should be undertaking with its hutongs. This injection of a few well restored buildings in one area has slowly and naturally grown the interest in that area, both in terms of tourism as well as with the local neighbours, who take pride in living next to such well-presented pieces of local history. *Editor’s Note 01/04/2019: Since publishing this article in 2013 the Red Capital Club and Residence is now no longer in operation.